When billionaire Ben Barsi met gorgeous, innocent geologist, Henriqua Lopez, he had no idea she was the woman who would throw his life into chaos. 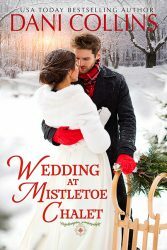 Five months after their affair ended in scandal, Henriqua crashes back into his life during a society wedding. The fire between them is as hot as ever, but Ben refuses to let his guard down around this enticing woman again. Until Henriqua reveals her biggest secret yet—she’s pregnant with his baby! This free online read takes place right after my Barsi on Fifth duet ends. All of them stand alone, but you may want to read A Virgin To Redeem the Billionaire and Innocent’s Nine-Month Scandal first. Innocent’s Pregnancy Revelation is a free, online read exclusively available on Harlequin.com. Chapters will post every weekday from April 22 – May 17, 2019. Read this free online romance here. "What I need is a confession, darling. You’re a day late and several million dollars short. I’d say the thought counts, but it really doesn’t." When I wrote A Virgin to Redeem the Billionaire, I needed Kaine to have a grudge against Gisella. Initially, I thought her cousin was merely inept, but as I wrote that book and its follow up, Innocent’s Nine Month Scandal, I fell in love with the family. Some were quirky, but everyone was smart and very loyal to the family name. Ben was still my pseudo villain, but his grand error in judgment was soon revealed to be that he had trusted the wrong person. As I wrote him, I set him up to have his own story one day, not really knowing who that person was. Then, not long after both books in the duet wrapped, my editor asked if I was interested in writing a free online read that tied in with the duet. Ben was the obvious choice, but then I had to figure out exactly who had double-crossed him and how and why and, oh yeah. What if she’s pregnant? It’s a lot to fit into a fast-paced, twenty-chapter, serialized story, but more than one reader has asked me if Ben has his own story and yes! 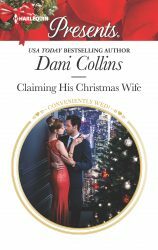 You can find it at Harlequin.com in their online reads section. As if he hadn’t suffered enough humiliation lately, Ben Barsi was forced to endure a pity-offer of a job. The suggestion he take control of an American arm of a European corporation, with a focus on developing new markets for specialized metals, smelled heavily of familial interference served with a side of love and obligation on both sides. “Did Rozi put you up to this?” Ben asked his new cousin-in-law, Viktor. He tracked his gaze to the man’s bride, glowing as she chatted to Grandmamma. “You realize I’ve been fined twice my net worth by the securities commission for fraud?” He had narrowly avoided jail time. “It’s still a terrible business decision. I’ve researched you enough to know you don’t make terrible decisions.” Ben tilted a meaningful stare at the man, letting him know he might be bruised by recent events, but he wasn’t beaten. He looked out for his family, especially his favorite cousins when they suddenly decided to marry tycoons from afar. At least Gizi was only going to San Francisco. Viktor was stealing Rozi to Budapest. Their grandmother had been born there, but the rest of them were American and tightly-knit enough that Rozi’s absence would be deeply felt. Ben would become an idiot if he refused. He was broke and had nearly ruined his entire family. He couldn’t afford pride. Gizi was marrying the man who had nearly been destroyed by Ben’s misplaced trust. That man, Kaine, had magnanimously bailed out Barsi on Fifth, saving the jewelry store that Ben’s grandparents had founded. Now Viktor was extending a hand that could pull Ben back onto solid footing. “I’ll think about it,” Ben conceded, hoping his grandmother’s wise words to him when all of this started, “This too shall pass,” would prove true. For the moment, Eszti Barsi looked happy, surrounded by her extensive family. He hated himself for disappointing her. For jeopardizing all she’d sacrificed and worked to build. He silently vowed he wouldn’t cause her another moment of concern. Which was when his gaze was caught by a new arrival. Something ajar within him settled back into place as he took in her auburn hair shifting in loose waves around her sweetheart face. Big, innocent brown eyes searched the wedding reception. Perfect white teeth caught at her plump bottom lip. Her coral cocktail dress hugged her breasts, even more lush than he recalled, and draped to midway down the tops of her smooth thighs, teasing him with memories of having those long legs locked around his waist, both of them lost to indescribable pleasure. “Who is that?” he heard Viktor ask at a distance. The instrument of my downfall. Henriqua Lopez was still nursing sore ribs and terror that she would miscarry—an event that a rational woman might view as a blessing, given the circumstances. Penniless, likely to be arrested and having made an enemy of the baby’s father wasn’t a great environment in which to raise a child. Adrenaline urged her to run. Again. It wasn’t the best coping strategy, but it worked in the short term. There was no running from the baby growing inside her, though. And she was out of places to run to. This was her last resort. A terrible gamble, but one she would take so her baby didn’t wind up as powerless as she was. As she scanned the hotel’s elegant reception room filled with fifty-odd guests in their Sunday best, her gaze crashed into the one pair of dark brown eyes she’d hoped to avoid. Damn this eye-catching dress. Her tall frame meant she’d only begun to show despite entering her fifth month of pregnancy. The empire waist disguised her small bump very well, but the color was a neon sign. She told herself not to let his notice distract her from her mission, but she was held motionless as they stared at one another. Despite the distance across the room, his glower went into her like a hot knife. It twisted, bringing a flex of agony into her throat while the rest of her swelled with yearning at the sight of him. She drank in his height and dark hair, his wide, clean-shaven jaw and searingly handsome features. Each detail was memorized and pocketed greedily to be recalled and cherished later. Because a clock was ticking in her head. She dragged her gaze across the room again. Zeroed in on the elderly woman holding court on a sofa. She was a picture of old-world elegance. A woman, Ben had told her with affection, who loved unconditionally. She had an unfailing sense of duty to her children and grandchildren. By the accounts of Ben’s downfall online, she even stood by her blood no matter what terrible crime they appeared to have committed. Did she know Ben hadn’t salted those mineral samples himself? That his lover had played an unknowing part? Henriqua should have walked away the first day in Bogotá, when Ben had mentioned Vincent. Her stepfather tainted everything he touched. He had turned her mother against her, leaving her to die without reconciling with her daughter. Henriqua had worked unfailingly to earn top marks at school, yet Vincent had left an impression with her fellow students that her top grades were favoritism on his part. He’d even taken credit for her budding geological career. She had never imagined he could stoop to felony, though, and setting up others to take the blame. What a nightmare. Henriqua started toward Eszti Barsi, as anxious to clear Ben’s name in the old woman’s eyes as she was to beg for help. To offer it in exchange for the one thing she couldn’t do herself. A firm hand grasped her arm right where Vincent had wrenched it as he threw her to the floor a few days ago. The bruises sang with pain, but Henriqua didn’t flinch as she turned. “Don’t touch me,” she said, shaking off Ben’s touch. It hurt. The bruises hurt and so did rebuffing him. His touch still thrilled her despite the scathing way he wiped his hand against his trousers, as though she was something dirty. She turned away, determined to reach Eszti. 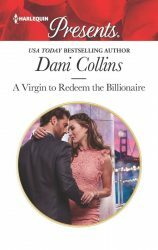 The rest of this story appears as serialized chapters from April 22- May 17 2019 at Harlequin.com. Continue reading here.